Have I mentioned that I love shoes?! Well I do, especially vintage ones. The biggest reason I love shoes (and any accessory for that matter) is they will fit you no matter what size you are at. I have vintage shoes that I bought while I was in high school, and while my high school jeans no longer fit, the shoes that I bought then still do! I also am quite smitten with vintage storage items, particularly ones like THESE and THESE. 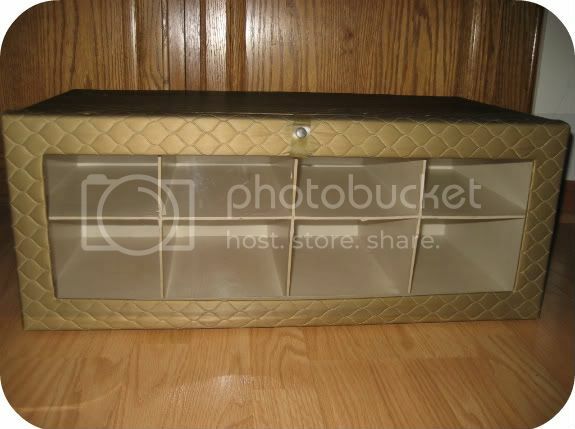 So, I was quite tickled when I found this vintage shoe storage box for only $4 at an estate sale a few weekends ago. I finally got around to organizing it the other day and couldn't wait to share it with you all! This is the label that is on the back. I think it's cute that says the "smartest of home accessories." That must have been a great selling slogan. I can see an ad saying something like "the smartest housewives buy Protex" or something like that. Here's the finished outcome. 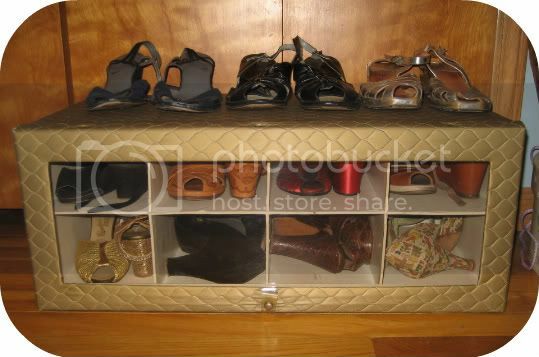 The box only fit eight pairs of shoes, which I am sure was ample storage space back in the 40s, but nowadays, this only helps store a fraction of my vintage shoe collection. I plan on sharing my entire vintage shoe collection soon! Until then, here's a small peek. Today is the last day to enter my giveaway. It closes at midnight EST. Winner will be announced tomorrow. The giveaway is open to everyone! Ooh! I particularly love the back of those tooled shoes I spy in the top row. Since I'm more a wedgies girl than a heels girl and have what was apparently the world's most popular sized shoe (6), I rarely find vintage shoes that are my size/work for me/fit right/aren't $$$$$. Boo! Great find! I am jealous! And yes, what are those shoes on the bottom right? This is so great!! I love it! Your shoes look right at home! 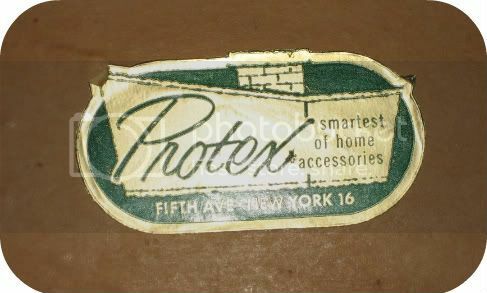 What was the protex company and when were they in opewration?